The Adopt-A-Bench program was established in 1986 as a permanent fund to maintain and endow the care of Central Park's more than 9,000 benches and their surrounding landscapes. To date, more than 4,100 benches have been adopted. In recognition of contributions to the fund, Central Park Conservancy installs a personalized plaque on a park bench of the donor's choosing. Benches may be endowed for $10,000. 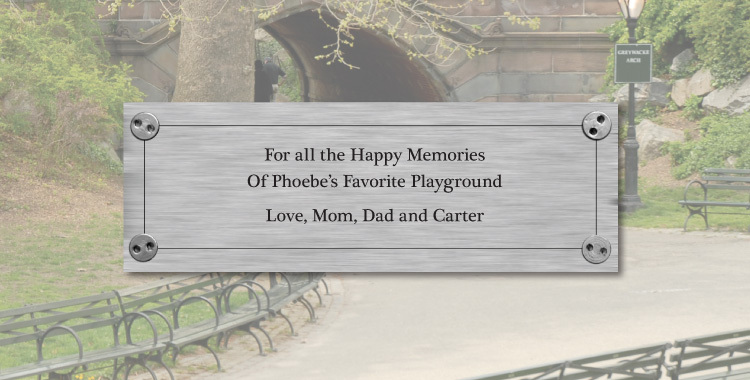 A bench is a wonderful way to memorialize or honor a loved one. Adopt-A-Bench for a birthday, anniversary, new baby, graduation – it is the perfect gift for any occasion! While the plaques take about 8 weeks for production and installation, a personalized certificate can be provided immediately upon adoption to notify the recipient that a bench has been adopted in their honor. You can write the plaque inscription yourself or let the recipient write their own. Please email benches@centralparknyc.org for a current map of available benches in Central Park. Sorry, that bench name or code could not be found. Should your group not reach its goal within one year, all contributions will be designated to support the general fund for the care and maintenance of Central Park benches. 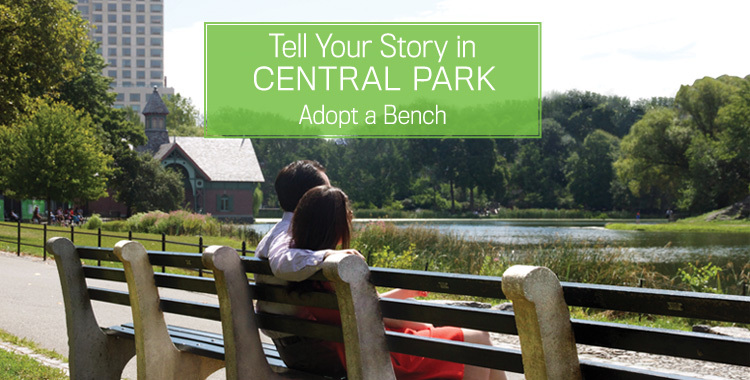 To adopt a bench, please email benches@centralparknyc.org for a current map of available benches. Then return the completed form (PDF). The Central Park Conservancy reserves the right to temporarily or permanently alter or relocate benches.